Pakora also known as pakoda or bhajiya, is a fried snack which is made with gram flour, vegetable and flavored with spices. Monsoon's season is just another reason to enjoy tea and pakora in the cool breeze while enjoying the rain. 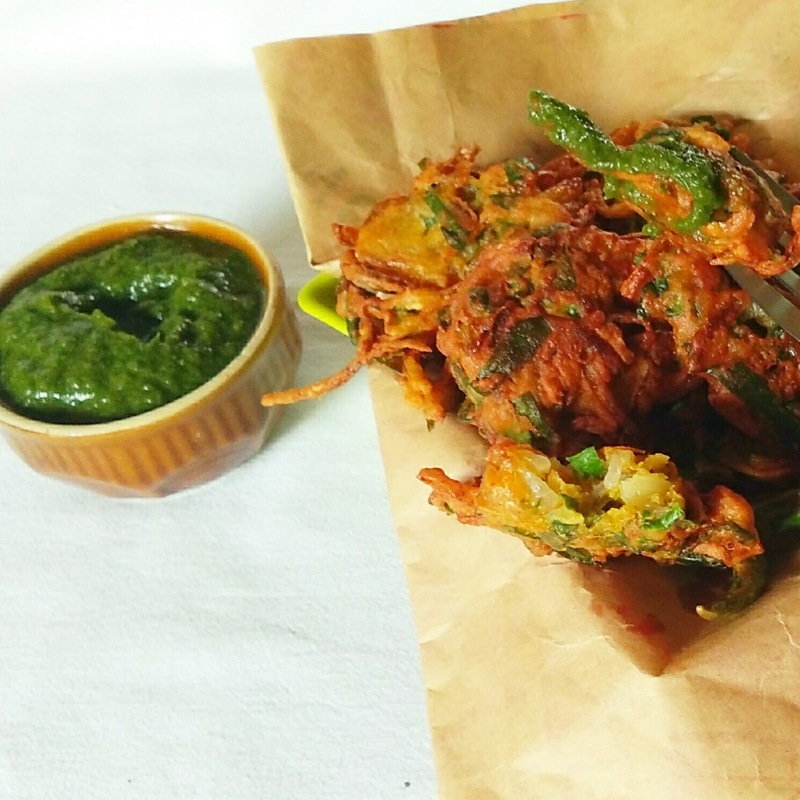 More often than not pakoras are made of onions, however we can also prepare them using cauliflower, potato or any other vegi of our choice. Mix salt and onion and leave it for 10 minutes . Dry roast the coriander seeds and cumin seeds, coarsely grind them. Now mix all the ingredients together except oil. Make a pouring consistency batter. Add water if the batter looks too thick. Heat oil and make pakora fry until golden and crisp, dish them out on an absorbent paper. Serve hot with chutney and a cup of tea or coffee .